24 Apr Filed under Uncategorized. Bookmark the permalink. The pathway toward success need not be foggy. 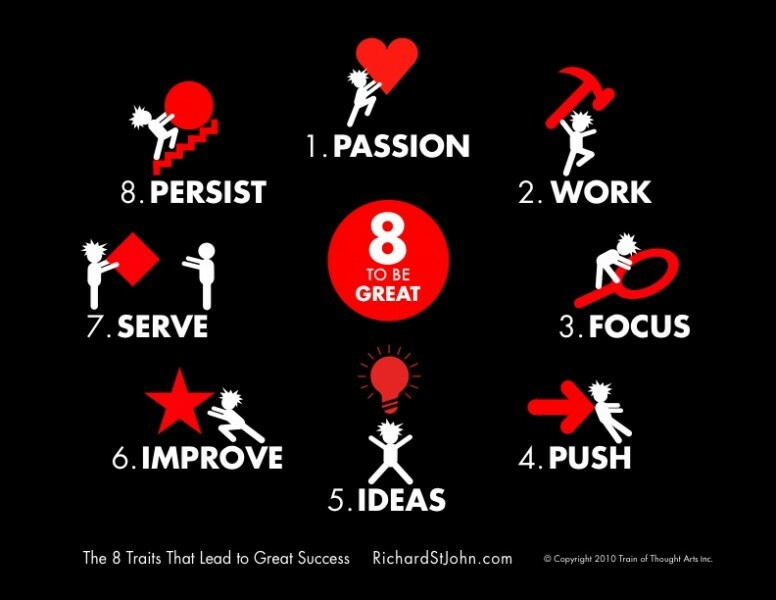 Richard St. John interviewed a number of people who have led successful careers and reduced the reasons for their success down to 8 simple, succinct concepts.